Salman Khan’s most expected film of the year, Tiger Zinda Hai is finally coming to the theatres around the world. The film got a much-needed response from the audience during the initial release alike any other film of superstar Salman Khan. Tiger Zinda Hai is a sequel to Salman Khan’s other film ‘Ek Tha Tiger’ which was released back in 2012 and got an amazing response from the box office. Actually, Salman Khan got a tremendous boost in his Bollywood career following the aftermath of ‘Ek Tha Tiger’ hit on the box office. The first show of TigerZinda Hai screened at VOX Cinema in Emirates. Fans were going crazy to watch the first ever show of Salman Khan’s latest debug. Salman Khan’s loyal fan following seems quite impressed as they leave theaters for a home in Emirates. The audience can be clearly seen going woo on stunts scenes in the film. Salman Khan appearance with Bollywood Diva Katrina Kaif added to the romantic scenes of Tiger ZindaHai. The first impression of TZH movie on audience seems quite satisfactory as the audience didn’t go home with unhappy faces. The film got great cinematic views of the middle east in which Abu Dhabi Film Commission does a great job in helping the production team to get the shot done in just 65 days. You will barely find mistakes in work of Ali Abbas Zafar as the director of the film. He has done the finest work ever while shooting in the tough locations. Polished work on minor details could be clearly seen in the first half itself. UAE residents can definitely enjoy the privilege to recollect memories during the play-time. TZH is a pure entertainer film, TZH actually took some facts from the recent incident in Iraq where Indian nurses took as the hostage. 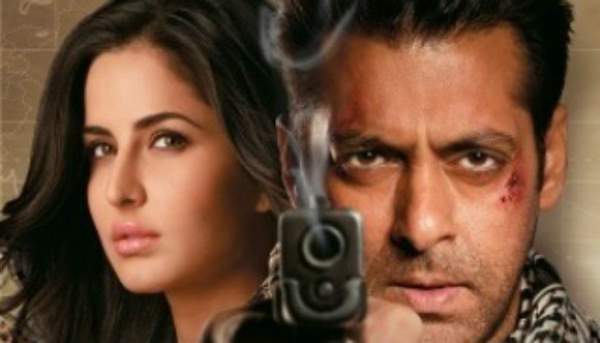 The film is pure fiction where Tiger (Salman Khan) and Zoya (Katrina Kaif) came together for the rescue operation. The Hostage story has been changed to Indian and Pakistani nurses so that RAW and ISI could get a common enemy to work against. On the opposite side, Iranian Actor Sajjad Delafrooz could be seen playing the role of Abu Usman, the terrorist who took the nurses hostage. The story follows up partnerships Tiger lead RAW and Zoya lead ISI incorporates to destroy the common enemy. Showing love over harm in India-Pakistan relations is quite common in Bollywood films nowadays. The first part of Tiger also portrayed both agents working together for peace and TZH could easily recollect the moment’s audience got around 5 years ago in theaters. Both the secret service agencies can be seen fighting with all their resources and power. The opening part of TZH is quite unrealistic even for fiction lovers. In Ek Tha Tiger we have seen Salman Khan jumping on the roofs which audience can think of it for once but in Tiger Zinda Hai the opening follows up a scene in which Salman Khan could be seen fighting with a pack of wolves to rescue his son. Which is quite unrealistic even for someone with a body like Bhai. Bollywood bhai gives a very well explained hint during the scene that movie is going to be about saving innocent from the devil. Perfect swordplay could be seen among the agents which are probably the best part of the film and actually enjoyable in every sense. One can share a good belly laugh while watching them teasing each other out of love. After action love and drama, the nurse’s hostage story was a perfect injection of emotional feelings in the film. The movie has perfectly portrayed each and every character’s identity distinctively and collectively as well. Abbas had done a commendable job when it comes to stitching the various parts of the story. A different level of cinematography could be clearly observed in Tiger Zinda Hai which should definitely add up point to review. Salman Khan had invoked efforts to make action scenes better with a punch of video editing which somehow looks fabulous. The shooting was never the easy job for the entire team as they visited one end to another for giving the actual entertaining experience to the audience. Rebel Leader Iranian actor Sajjad Delafrooz is professor turned cold-blooded terrorist which will add up to the emotional touch in the film. In one place where director failed to draw the contrast between fiction and reality, he had perfectly touched hearts showing poet turning into extremism and becoming cancer for the society with his morphed religious values. The plot has different confessions and speculations which make the film perfect entertainer of the year. Apart from the fact that some scenes were too exaggerated to show what ‘Tiger’ really is, the fickle is going to rock every theatre in India. TigerZindaHai is kind of film which Salman Khan fans actually loves. Apart from the lead actors performance, one can always enjoy the privilege of watching Paresh Rawal with Salman Khan on big screens. Inducted humor in a slit opening action film is something which keeps every type of audience engaged with the film. Ageless actors of the Bollywood, Salman, and Katrina keeps looking charming and beautiful at all times during the film. Apart from small flaws in the storyline, Tiger Zinda Hai is a perfect entertainer. The film is perfect suite for every type of audience and going to end up earning big on the Bollywood box office. Stay tuned to TheReporterTimes for more Bollywood news.